We are enlisted as the leading manufacturer, exporter, & supplier of excellent quality Dual Pipe Die Head. We are able to maintain market norms while designing this pipe die head by utilizing best grade components & innovative technology. The increasing demand of our pipe die head in the industry makes it more competitive among other related products. Our clients can take this pipe die head at economical rates. With the valuable assistance of skilled team of professionals, we are offering an extensive range of high quality Industrial Die Head. The offered product is precisely engineered using high grade material and sophisticated techniques in adherence to set industry norms. 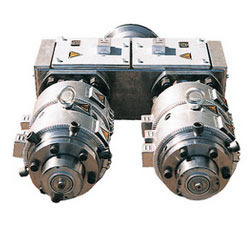 Our offered product is widely used in manufacturing industries for die and pressing work. Clients can avail this product from us in different specifications as per the information laid down by our clients. 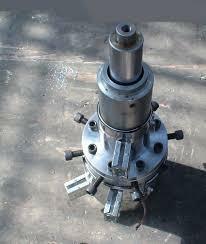 We are one of the leading manufacturer, exporter and supplier of a high quality assortment of Die Head. We design these die heads with the help of leading edge technology under the direction of professionals. 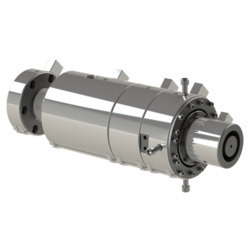 These die heads are examined on various factors of quality in order to ensure its quality. Owing to its fine performance, these die heads are widely applauded in the market & available with different specifications to choose from at suitable rates. Looking for Pvc Pipe Die Head ?